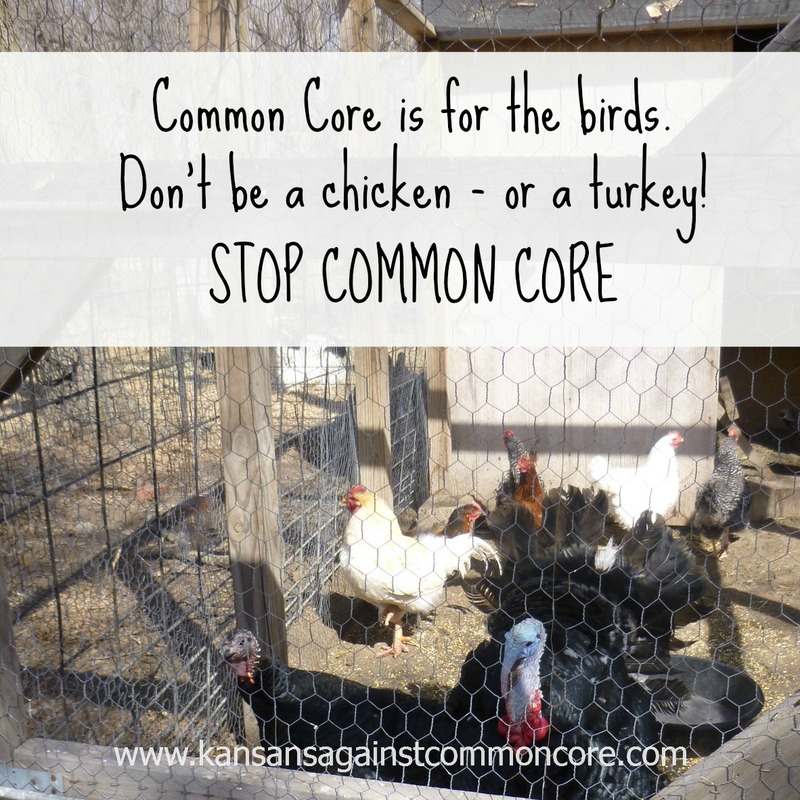 Common Core is for the birds! Kansas will join a federal lawsuit against the U.S. Fish and Wildlife Service over listing the lesser prairie chicken as a threatened species, Gov. Sam Brownback announced Friday. “The federal government made this decision despite concerns raised by the states directly affected by this decision,” Brownback said. Wouldn’t it be nice if our Kansas Legislature and Governor Brownback were leading on the issue of Common Core in the same way? 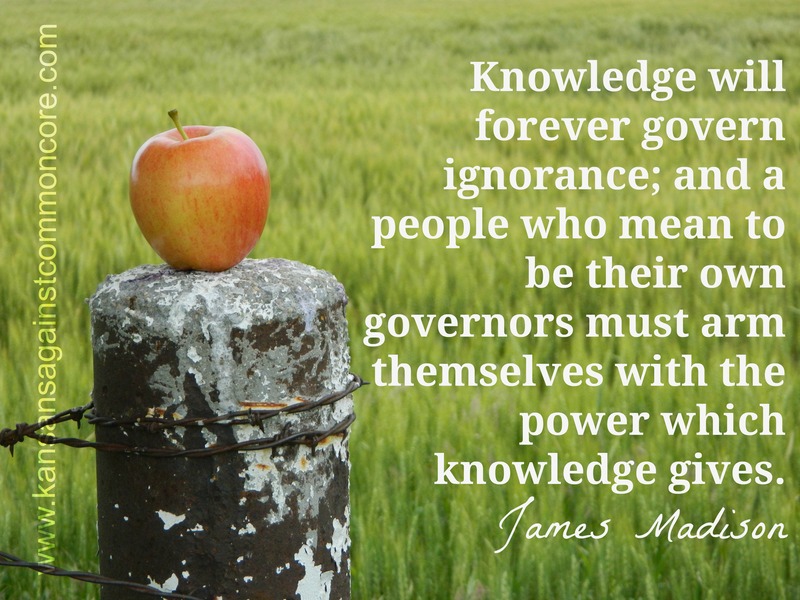 Pushing back against the federal overreach, and the loss of local/state control of education that Common Core brings to Kansas. Kansas can do much better than Common Core! We hope the chickens are on the prairie – and not in Topeka. The legislative session will soon be over. The time to reclaim Kansas education is now. The University of Kansas Center for Educational Testing and Evaluation developed the tests. FOX 4 called KU’s CETE, but no one returned out calls for this story. One parent we talked to worries the testing problems are related to incorporating new Common Core standards into the exams. Jaeger, who has two children in the school district, is concerned about sharing testing data with outside entities, particularly the federal government. He says a recently passed bill in the Kansas legislature would prevent that from happening. He’s seeking a better explanation for what’s being measured in the tests, and why schools are having trouble administering them when kids are prepared to take them. 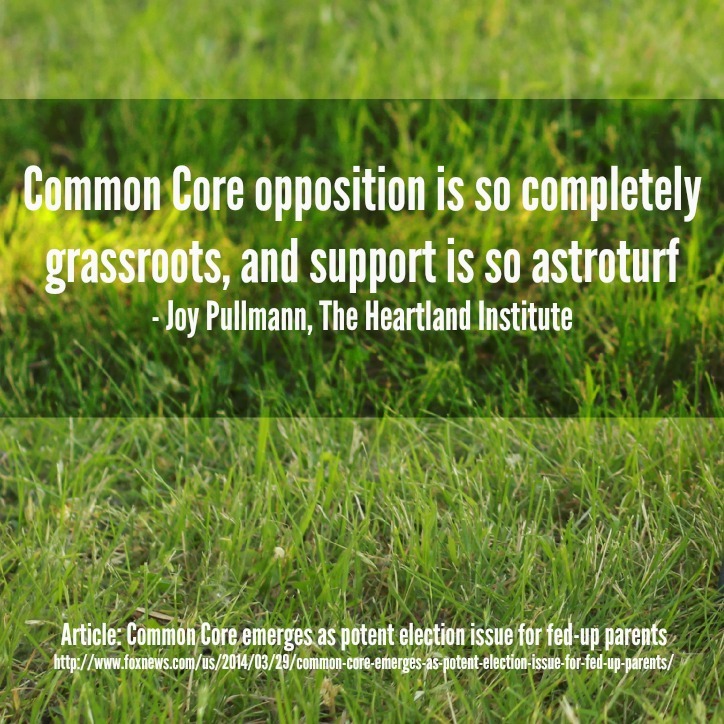 “Common Core opposition is so completely grassroots, and support is so astroturf, “ says the education research fellow for The Heartland Institute, a think tank headquartered in Chicago that promotes individual liberty and free enterprise. “It is already becoming a primary and general election issue in everything from local school board races to gubernatorial and U.S. Senate races,” she added. Have you contacted Governor Brownback? PLEASE take time to let him know that we need his support and leadership. 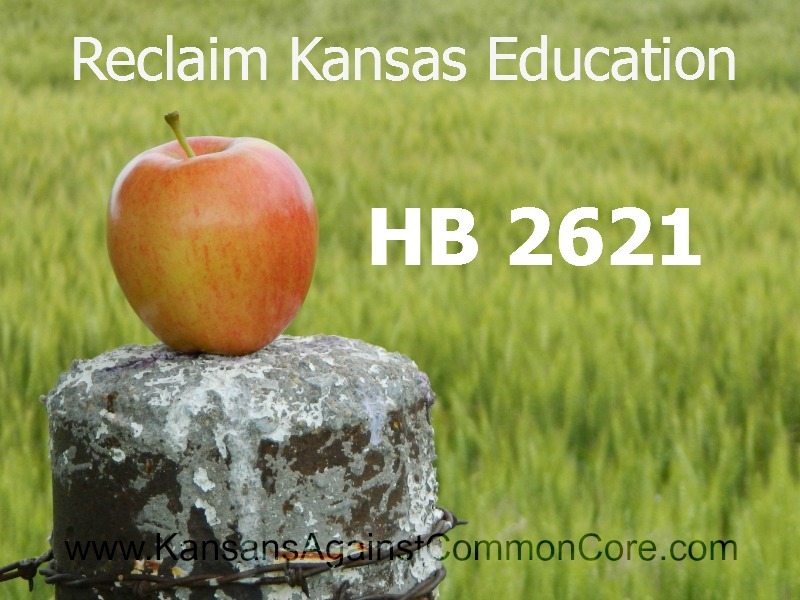 NOW is the time to STOP Common Core in Kansas! Is it “thumbs up” or “thumbs down”? Middle of the week… articles and updates. NO DOUBT! Indiana is what everyone is talking about…. 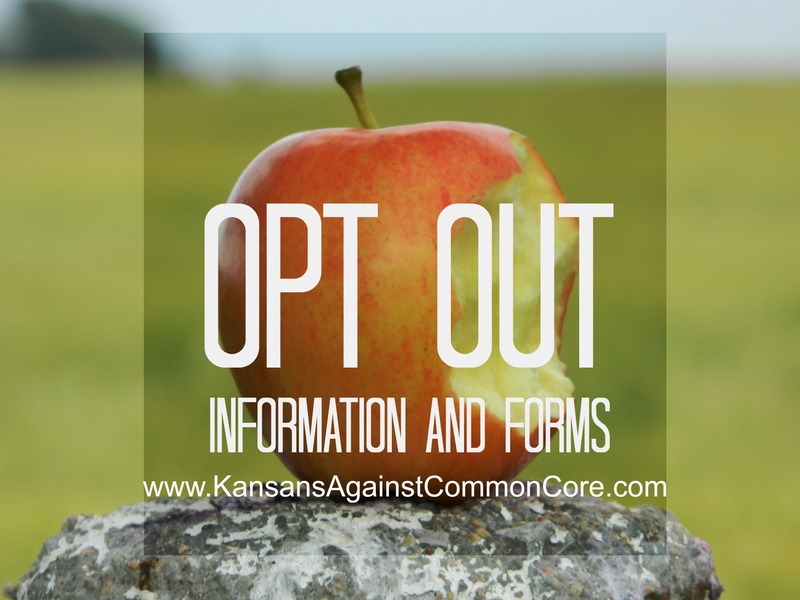 However, there is still reason to proceed with caution..
Don’t forget your OPT OUT forms! The tests have little real impact for students, but they are important for the schools and state Department of Education because they are used as the basis for accrediting schools and qualifying for federal funding. 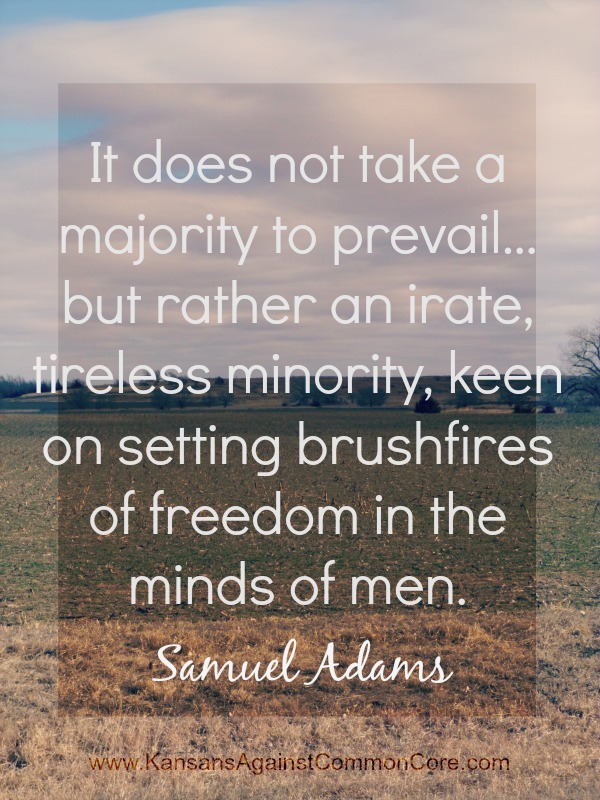 These are from our friends at ROPE – Restore Oklahoma Public Education. Last night, the Overland Park presentation on “The TRUTH about COMMON CORE” was covered by Fox 4 News. Thanks to a great group of parents and concerned citizens, Coalition to Stop Common Core, that is working very hard to spread the TRUTH about Common Core (Kansas College and Career Ready Standards) in the Kansas City area. The parents who presented, and were interviewed did a great job! Thank you Mike and Lisa! There are more meetings being planned and organized – please keep following Kansans Against Common Core on facebook, and checking our UPCOMING EVENTS page on www.kansansagainstcommoncore.com. If you are looking for information and/or speakers for an event, please contact us – we are happy to help! And if you already have something organized, please let us know so we can post and share. We want to help you connect with others in your area, and become active on the local level. We still need your help – phone calls and emails! Please support HB 2621! We need your immediate help in making a few phone calls and emails on what is quickly becoming the dominant issue among citizens in Kansas and across the country. The math standards usher in fuzzy math and by the admission of their chief architect, fail to prepare children for postsecondary education. The English language arts standards severely reduce the study of classic literature –the academic basis through which children learn about humanity and prepare themselves to be citizen-leaders, successful professionals and entrepreneurs, and individuals of substance in their families, communities and churches. 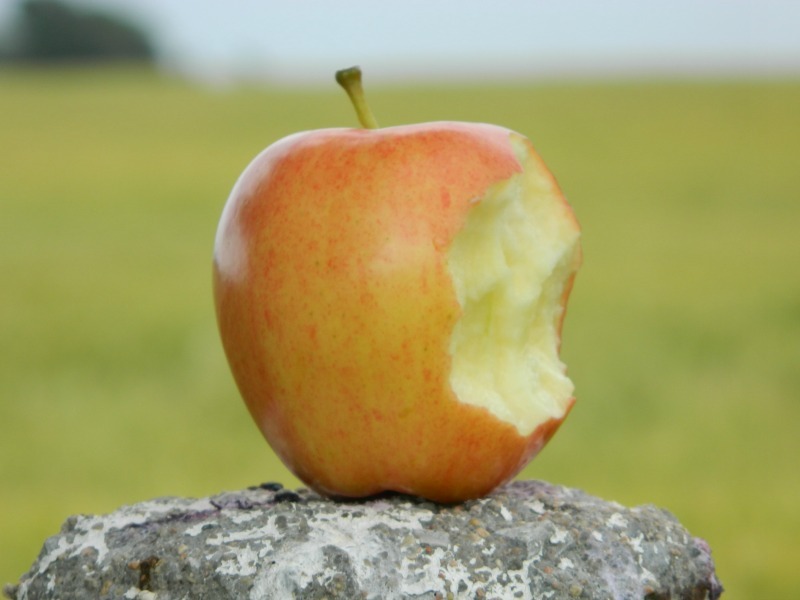 Hundreds of early learning professionals signed a letter in 2010 asking the private associations that own the Common Core to re-draft them because many of the standards are age-inappropriate; their calls were ignored. The Common Core-aligned Next Generation Science Standards are similarly bad, gutting high school chemistry and physics and leaving out large swaths of biology! The Common Core and NGSS are perhaps the greatest deception ever foisted on the American people. Forty-five states, including Kansas, adopted Common Core, and Kansas was, sadly, one of the first states to adopt the NGSS. Special interests and the federal government were able to get Kansas to sign on to these because the people and their legislators never had meaningful notice of what was happening. The executive branch –the governor and the state board of education– signed the people onto this mess, and they did so without any check or balance. Now, legislation —HB 2621— is before the Kansas House Education Committee that will fix these problems. It will get rid of the Common Core and NGSS. It will institute a new standards adoption process that includes the legislature, college content professors, and parents –the very people who were excluded from the Common Core development. It is one that provides true notice to the people and keeps the legislature informed. But we need you to act quickly. The legislature’s session will end soon, and the House Education Committee is taking up HB2621 now. If we don’t act now, our children will be locked in the Common Core for another year—even as other states bail out to protect their children. *Alternate contact information as posted on the Kansas Legislature page. Please be respectful and courteous in all forms of communication, and please be considerate of the time of day. THANK YOU! Thank you for taking time to do this today! Welcome to the week – articles, updates and more! There is nothing wrong with national-level education yardsticks. We’ve had them for decades: the SAT, Advanced Placement tests, the Iowa Test of Basic Skills, etc. What is wrong is imposing one standard on everyone, which ignores that all children are unique and no standards-setters omniscient. But that is exactly what Washington is doing with the Common Core. It’s apparently not important to the Common Core State Standards Initiative that David Coleman never taught a day in the classroom in order to be the lead architect in the crafting of the standards from which the majority of children will be taught. I’ve looked at his background and don’t see that he was/is an artist. But his claim to be one of the most unqualified people to be involved with the standards development extends to his explaining why standards should be imposed one of the more creative disciplines: Art. Every week it seems I receive three or four letters from people who are establishing new schools or reforming old ones. These letters are most encouraging, and all of the writers, without exception, are dedicated to restoring what is called a “classical” education. Sometimes that implies the study of the true classics, the literature of ancient Greece and Rome. More often it simply means a return to sanity, both as to what the children are to read and learn, and as to how they are to learn it. OKLAHOMA CITY — State Rep. Joe Dorman, D-Rush Springs, is the likely Democratic nominee for governor of Oklahoma this year. He is a long -shot in the Sooner State, where statewide political offices are dominated by Republicans, including incumbent Mary Fallin. Still, Dorman – pegged as a moderate during most of his career in the Legislature — might garner fans among those state conservatives most passionately opposed to the controversial “Common Core” standards. Thank you! Please keep sharing.